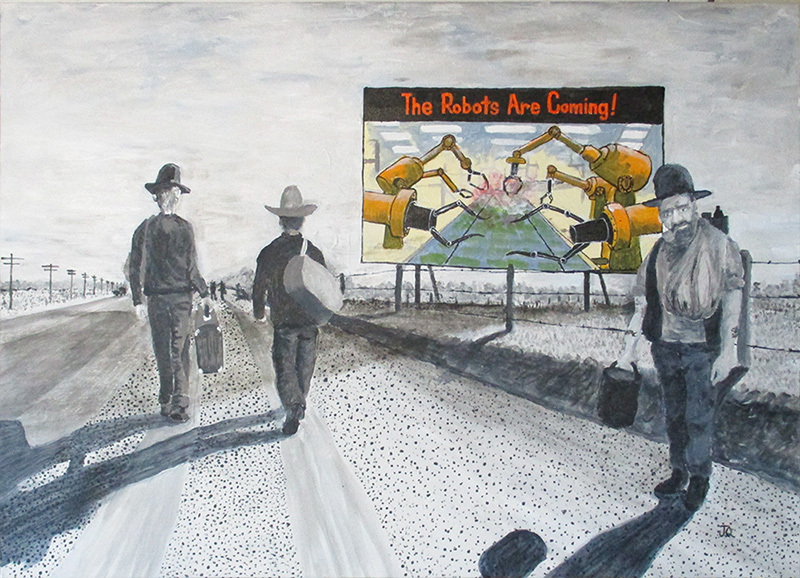 This painting is titled… “The Robots Are Coming” and is an acrylic on canvas, 76cm by 51cm. Unframed. It is a painting I have had circling inside my head for quite some time. I am very worried about what the future has installed for our workforce of tomorrow.